Savasana Benefits : Magical Asanas With Uncountable Benefits! Savasana (Corpse Pose) And Its Health Benefits! Yoga poses are one of the most precious and delightful exercises which are internationally renowned due to the amazing benefits they can give! Among various poses, you must have head of Savasana Benefits which is one of the magical asanas with uncountable benefits! From weight issues to stress, this pose is one of the significant ways to fight various conditions and enhance the quality of your life! Yoga teaches us spirituality, brain improvement and healthiness which can together make you a perfect human! Here is all you need to know about this multi benefit relaxation pose straight from the treasure of different yoga asanas! What is Savasana or Corpse Pose? If you think that Savasana is one of the immensely stretchy and tough poses from different yoga asanas, you are completely wrong! Savasana or Shavasana has a direct meaning related to its name. Shav means corpse or a dead body while asana means pose. The Savasana is a corpse pose in which, you need to feel relaxed and calm just as a corpse lies! Savasana benefits related to mind, heart, skin, hair, muscles and targets almost each and every part of our body! 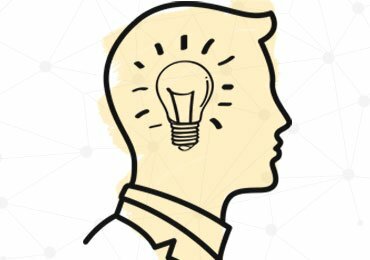 Not only does it reduce tiredness and fatigue, but also it can help in connecting to the subconscious mind while attaining peace! Generally, people who practice more exercises and workouts must conclude their workouts with Savasana. It is a soothing and relaxing pose which can calm your body and relax your muscles. After workouts your muscles get stiff and thus, Savasana helps in making them free! Also people with hectic and stressful life must perform Savasana to feel stress-free and to increase the concentration on other important things rather than worries! Students and working people must perform this asana as it can improve focus and can help in achieving great results in the professional and educational life! Also people who want to prevent harmful disease and specially the stress issues must perform this pose to stay mentally healthy and fit! How To Perform Savasana (Corpse Pose)? Remember, this pose is one of the most amazing poses which can make you meet your inner self and feel extremely positive! You need to relax and enjoy the session while staying calm and enjoy all your muscles getting settled! For performing this pose, find a place which is calm and there is no noise in the surroundings. You need a completely peaceful place for this pose. Lie down on the floor and do not use any mats, pillows or supporting elements. Just lay down close your eyes and relax. Spread your legs wide and in a comfortable way while placing your hands side by side. Keep both your palms open and wide. Focus is the prime benefit of this pose and thus, you need to focus on something to make the asana more effective. Thus, concentrate on any single part of your body. Start with your legs and focus your mind there. Breathe in and hold the breath for few seconds, then breathe out. When you will breathe in, your body will feel energetic and when you will breathe out, your senses will calm and sooth. Don’t let your brain get distracted and make sure you don’t sleep while performing this immensely calming yoga pose. Keep focusing on your breathing and on the single area of your body for 15 minutes. Slowly, open your eyes and take deep breaths. Sit down and relax. You can then release the pose. You will feel immensely fresh, energetic, and heavenly and satisfied after performing this magical pose! Hava a look at these amazing savasana benefits in detail. Savasana is a great pose which consists of mental as well as physical benefits for your body. This great soothing and calming pose has some unexpected benefits which would get you addicted to it! Let’s move further for Savasana Benefits. If you are addicted to heavy weight training, intense yoga poses and such high impact workouts, it is necessary to calm your senses and feel relaxed post workouts. This relaxation can help your body calm down and come to its normal state. Savasana is one of the asanas which can help you achieve that calm and steady state. While you perform the corpse pose, from your toes to the head, every body part would calm and relax. Also your breathing reaches a normal state which is a trigger for body calming! Thus, Savasana would relax your body, sooth your muscles, help you attain peace after a rigorous workout session! It is very hard to control the negative thoughts and stress in this hectically competitive world! In such cases, it is immensely important to fight such issues by practicing yoga. Savasana especially helps in preventing these conditions. While you practice Savasana, your body gets peaceful and your mind throws out all the negative thoughts. This can work magically against the negativity which you grab from your surrounding daily! Negativity, fear, stress and worry can cause depression and while practicing Savasana you can battle all these issues. Thus, every day after your workout session perform Savasana for 10 minutes and feel amazing! Blood circulation is one of the most important processes which take place in our body. From your skin to the hair, everything gets nourishment through blood circulation. People who are busy working hours and hours in the office while sitting on the same position face this issue of low blood circulation. Nowadays due to technical advances and revolutionary products, the movement and physical work is reduced significantly! In such cases, it is obvious to have blood circulation issue. Savasana is one of the amazing ways to fight low blood circulation. Savasana is a relaxing pose which can regulate blood supply and can replenish your body with exact amount of blood supply it needs! Activate all your body organs and processes with this soothing move and feel energetic all the daylong! 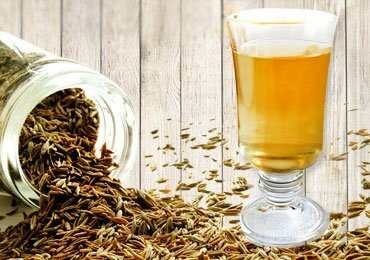 It helps in slowing down the aging issues, helps in healing the neurological issues, makes a person happy internally, and helps to attain satisfaction and joy! While you lay down in the Savasana pose, you need to relive the joyful moments and positive things about your life. This would make you feel immensely light, focused and satisfied by your life! Understand the purpose of your existence; feel enthusiastic for the new situations with this amazing pose which is also a meditative wonder! It can relax our mind, soothe our senses, fight nervousness and fear instantly and can also help in attaining internal peace! From the quick breaths to the deep breathing, Savasana helps to learn, practice and live all these types and makes you enjoy the benefits! Savasana helps in controlling the respiratory system and to regulate the breathing techniques when required! Thus, experience the best breathing methods with this asana! Savasana helps in maintaining the correct levels of blood pressure as it is a soothing yoga pose which never fails! Also, high blood pressure tightens the arteries and cause heart issues which can be prevented by Savasana. Thus, practice this pose daily to maintain the blood pressure; levels and to feel relaxed in any stressful situation! Sleeping is a very important for your body to get distressed after a long and tiring day. After all the hard work which you do physically and mentally, you need a soothing up system which can make you relax and gear up for the next day. Nowadays we hear a lot about sleeping issues like sleep apnea, insomnia etc which can trouble anyone! Lack of sleep can reduce your overall performance and make you feel lazy, fatigued and tired the next day. Savasana is a cool solution for all these issues. Savasana helps you to attain peace and sleep peacefully at nights. If you perform Savasana daily, your muscles will calm down, stress would banish and physical issues will reduce leading you towards magical sleep! Go for Savasana daily and prevent all such sleeping issues enjoying the relaxing sleep during nights! Severe headaches, low focus, poor concentration is witnessed everywhere from schools colleges, workplaces etc. People suffer from these issues due to sleeping issues, lack of blood flow and much more! Savasana helps in boosting blood flow and also to promote sleep. When you sleep well, you perform well. If you face these issues, you can try out a session of Savasana for few days and will surely get some cool results! Proper blood flow and adequate peaceful sleep would reduce these issues and help you focus better! 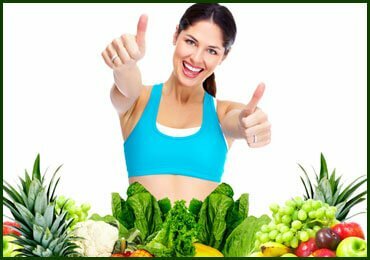 With the food we consume nowadays it is nearly impossible to have a great digestive system and desirable metabolism state! Along with changing your diet, you must perform the yoga poses which can help your digestive system to get regulated! Savasana is a soothing pose which helps in boosting metabolism and make your digestive tract more efficient! With regular blood flow and low-stress levels, your digestive system would perform well and keep your body away forms various diseases! Savasana can be performed in different ways to achieve some unusual benefits. Here are some widely performed variations of Savasana which you can try for multiple savasana benefits! If you have lower back pain issues, this variation of Savasana is amazingly beneficial for your body. This pose can also boost blood circulation and improve your body functioning. Lie on your back in the corpse pose. Use a cushion or pillow and keep it under your knees. Keep your hands relaxed and open. Follow the corpse pose steps and perform this variation to reduce low back pain and to improve circulation! I personally love this amazing pose which when performed, works wonders on your body. This super cool pose is a multiple benefit pose which can increase blood supply and make it reach to your brain and various body parts. Try this and replenish your body with energy! You need a chair or elevated platform to perform this pose. Lie on your back and keep your head in a pillow. Raise your legs and place them free on the elevated platform. Keep your hands free and wide open. Breath and follow the corpse pose for. With this pose, you would feel your blood flowing in your flowing through your brain and reaching your scalp! If you want to boost up your metabolism and want to enhance your digestive system here is a Savasana variation you can consider! Try this amazing relaxation pose and feel lighter all the day long! Lay down on your stomach and keep your legs stretched. Keep your hands together while your legs apart. Take deep breaths and perform the corpse pose. You can perform this pose after your workouts and at night to feel calm and relaxed! Here is a complete guide to Savasana benefits for health. This is one of the yoga poses which does not only relax your body, but also helps in gearing up your body! Savasana is a simple and high impact workout which would never fail to keep your body and mind controlled, focused and active! Go for Savasana and enrich your life with healthy body and a steady mind! 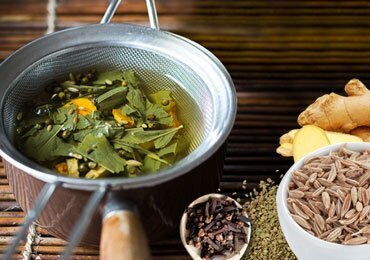 How to Lose Belly Fat Fast With Amazing Spiced Ayurvedic Tea! 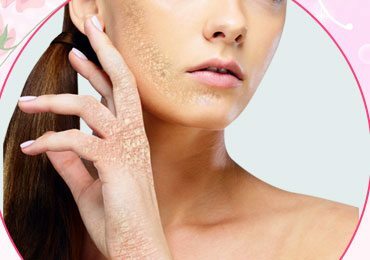 How To Take Care Of Psoriasis Prone Skin and Still Look Beautiful? 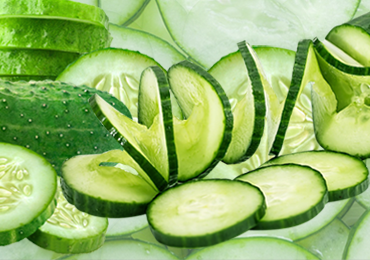 Health Benefits of Cucumbers that You Must Know! Skin Care During Weight Loss To Keep Your Skin Healthy! 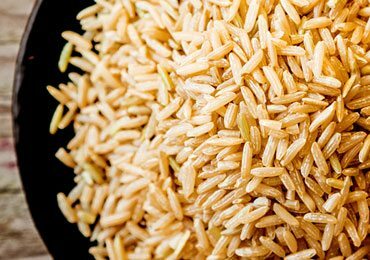 Health Benefits of Brown Rice : An Ideal Diet For Healthy Lifestyle! 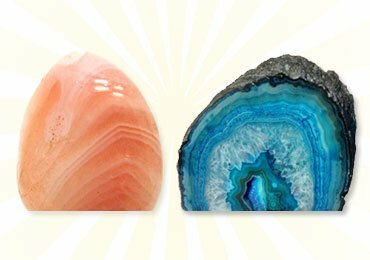 Healing Stones and Their Meaning to Attain Healing from Within!